BIG OPEN HOUSE WEEKEND 28th APRIL - please call for details. 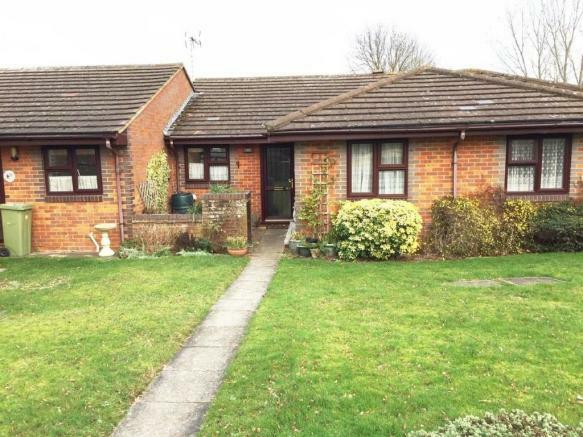 A deceptively spacious two bedroom retirement bungalow for the over 55's, with conservatory and located within a desirable development in Newport Pagnell. The accommodation briefly comprises: entrance hall, lounge/diner, kitchen, two bedrooms, shower room, conservatory, gardens to front and rear and residents parking area. Well worth viewing. Newport Pagnell is a popular town to the North of Milton Keynes, with numerous shops and restaurants. J14 of the M1 motorway is nearby and the mainline railway to London Euston is a short drive away in Central Milton Keynes. More local amenities include a supermarket, bakers, hairdressers and fish & chip shop, with a bus service to the town centre and Central Milton Keynes. An unusually spacious hallway with airing cupboard, additional storage cupboard, and doors to all rooms. Upvc and brick construction, with twin French doors to rear garden. Fitted to comprise range of base and wall mounted cupboards with a stainless steel sink, fitted oven with ceramic hob and stainless steel, chimney style extractor above. Space for washing machine and fridge freezer. Window to front aspect. Built in wardrobe, storage heater and window to rear aspect. Built in wardrobe, storage heater and window to front aspect. Comprising oversized shower cubicle, hand basin and close coupled WC. Tiled splash areas and extractor fan. Front garden laid to lawn with raised flower bed. Enclosed rear garden being mainly paved and with established flower and shrub borders. Gated rear access. Disclaimer - Property reference MSS190004. The information displayed about this property comprises a property advertisement. Rightmove.co.uk makes no warranty as to the accuracy or completeness of the advertisement or any linked or associated information, and Rightmove has no control over the content. This property advertisement does not constitute property particulars. The information is provided and maintained by Taylors Estate Agents, Newport Pagnell. Please contact the selling agent or developer directly to obtain any information which may be available under the terms of The Energy Performance of Buildings (Certificates and Inspections) (England and Wales) Regulations 2007 or the Home Report if in relation to a residential property in Scotland.